If you’ve ever wanted to know what the absolute fastest electric scooters are then you’re going to have to take a look at Nanrobot. They have made some of the most technologically advanced and fastest electric scooters that have ever been put on the market. Today we’re going to take an in-depth look at two of their fastest and most cutting edge scooters. The Nanrobot D4+ and the Nanrobot LS7 are our two competitors today. We’ll be comparing them in several categories so that we can get to the bottom of which one is the superior scooter. We’ll summarize everything at the end with a pros and cons section and our final verdict. With that said, let’s get into the comparisons. Battery life has and always will be one of the most important aspects of any electric or motorized vehicle, which is why we chose to talk about it first. If you want a vehicle that will take you dozens of miles then it had better have the energy and the power to pull that off. Both the D4+ and the LS7 can be used for a little over an hour at max speed, which is something we’ll talk about more in the next category. However, they both have different charging times despite similar battery life. The D4+ only needs to be charged for three hours while the LS7 requires five hours. You’ll be fine if you charge your scooter overnight regardless of which one you pick. But the numbers don’t lie and the D4+ is the victor in this category. Here’s the part that many of you have been waiting for: which electric scooter is the fastest and will provide the most thrill? There’s no point in making you wait any longer. The Nanrobot LS7 is easily the victor in this category. Don’t get too carried away with that fact though. The D4+ is still a very, very speedy electric scooter. It has a top speed of 40 miles per hour and a max range of 45 miles per charge. These are still very impressive stats that put most other scooters to shame. But the LS7 is still in a completely different league. With a gargantuan maximum speed of 52 miles per hour and a range of 56 miles per charge, nothing can beat it when it comes to raw speed. This thing is so fast that braking at max speed will put the scares into you – more on that later. If you care about nothing except getting the utterly fastest scooter experience possible, it’s obvious what you have to pick. Portability is a very important factor for all electric scooters. Since they’re designed to be taken miles and miles away from your home, it’s nice to know that your vehicle will be as little of a hassle as possible when lugging it around. While both the D4+ and the LS7 have folding designs for when they aren’t in use, the D4+ only weighs about 70 pounds while the LS7 weighs 84 pounds. They’re both bulky but the D4+ is undeniably a little easier to carry around, whether that’s putting it into a car or lugging it in and out of storage. Both electric scooters have a weight limit of 330 pounds, which is impressive and far beyond the standard 220 pounds. One would think that the LS7 could handle a little more since it weighs a little more but apparently not. While both are similar, the D4+ comes out on top for being over a dozen pounds lighter. Nobody wants to ride a scooter that offers a bumpy and unpleasant riding experience—especially if you’re going at 40 or even 50 miles per hour. Luckily, both the D4+ and the LS7 are made from extraordinary parts and components. Their construction provides a ride that offers incredible stability on any asphalt. 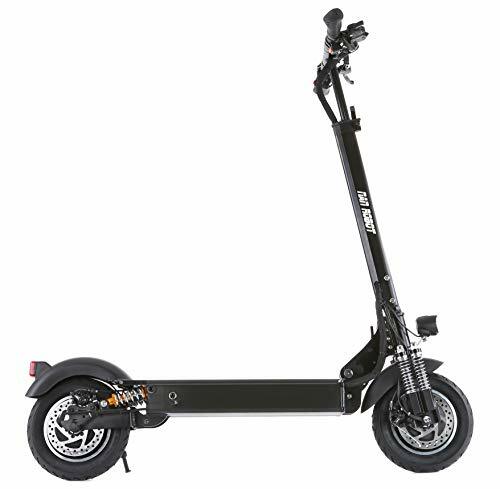 Both electric scooters are fitted with multiple shock absorbers that not only make them safer but smoother to ride on terrain that might not be completely flat. Both scooters feel pretty much identical when we were riding them at speeds of around 20 to 40 miles per hour on cracked sidewalks. We never felt like we were losing balance and the bumps were less noticeable than expected. While the footboards of both scooters are different, we also didn’t notice any change in comfort for our feet. We wish at least one of them was more ergonomic. Both foot boards are totally flat which doesn’t fully match up to how feet or shoes are shaped. In the end, we actually have to say that the D4+ is the winner of this category. It’s true that we said both electric scooters feel pretty much identical in terms of comfort but the D4+ has a secret weapon that the LS7 doesn’t have: an optional, detachable seat. For an extra $150 you can get an upgraded version of the D4+ that comes with an extended chair that rests a couple feet off of the footboard. It’s a fantastic investment if you plan on using your scooter very often and want to keep your feet and legs less stressed. Presumably, the extra weight of the chair will take some juice out of the battery life but we say it’s absolutely worth it. No matter which electric scooter you pick you’ll be happy to know that they are both top of the line when it comes to safety. Both scooters have identical braking systems and they aren’t just reliable, they’re very responsive. Both scooters have a disc brake embedded onto the rims of both tires. When the brake lever is pulled they come to a stop very quickly. We’ve tried out the brakes while reading each scooter at near max speed and it is incredible how fast they activate. It may feel a little scary going from 50 to zero in under two seconds but we wouldn’t want it any other way. Both scooters have a headlight which is an absolute must if you plan to go riding after dark. These Nanrobot scooters don’t have a horn or a bell so making yourself heard is pretty difficult as these scooters are already pretty quiet. Fortunately, both headlights can be quickly activated by the press of a button up on the handlebars and they’re both pretty bright. The LS7 has the brighter headlight, however, so we have to give the point to it just for that. It’s always essential to know what kind of tires your scooter has. Tires are probably the most important part of a scooter and they can make the difference between a good scooter and a great one. The fact of the matter is both the D4+ and the LS7 have excellent wheels. They’re virtually identical and are absolutely sturdy. Both of their tires are pneumatic and you can really tell when you feel them with your hands. They’re thick and feel like they’re pressurized from the inside. The rubber used seems to be of a very high quality that is resistant to tears and punctures. You’d have to run over something truly devastating to damage these tanks. Despite just having called them virtually identical, this isn’t entirely true. The D4+ has wheels that are 10 inches each but the LS7’s wheels are 11 inches. Not only do they have a cooler rim design but their increased size means they’re more durable and they will better handle any terrain that would try to rock them. What’s a high-end electric scooter without having any cool nifty features to complete the package? Thankfully, both the D4+ and the LS7 have quite a few. The problem is that they’re all identical as these are two very similar models, so we won’t be having so much of a showdown as much of a description and a regular layout here. Both scooters have nearly identical handlebars. The only difference is how the padding of the grip is shaped, which just so happens to be slightly more ergonomic on the LS7. 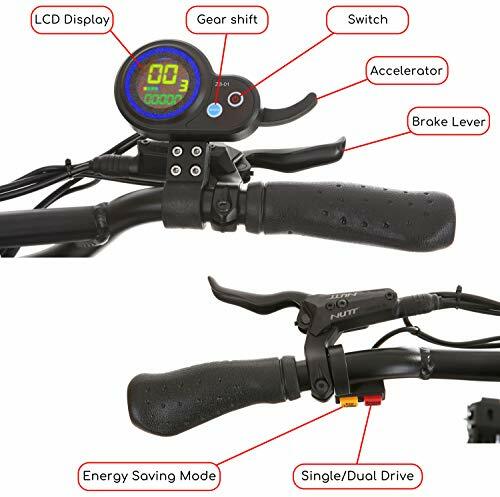 Each scooter has an LCD screen on the right side of the handlebars. On this screen you will receive a lot of information about your scooter. 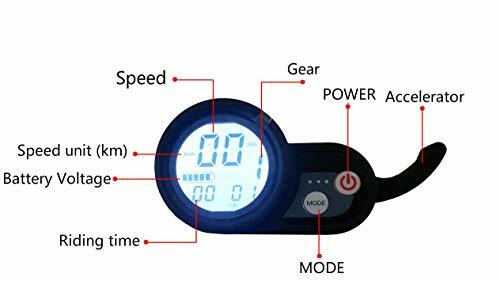 You can see the battery life, the amount of time the scooter has been turned on and there is even a speedometer. It only displays speed in kilometers per hour so you might want to brush up on your conversion abilities. Additionally, both scooters have an energy saving mode and a gear changer to alter your max speeds when you want to conserve the battery. Like we said, not much of a showdown, but at least you’ll be getting some cool features no matter which electric scooter you pick. Here’s the elephant in the room that some people don’t like to talk about but we would rather keep things genuine: we have to talk about the price. Both the D4+ and the LS7 have had a lot in common. The handlebars and the wheels are nearly identical with the LS7 just having a slight edge. The disc braking system is exactly the same between the two. But most importantly the LS7 has a max speed and range that is unmatched, even by the very impressive D4+. 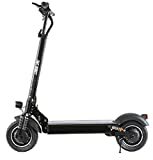 Considering all prior metrics, we would have to say that the LS7 is the superior scooter, even if speed isn’t your priority. The problem now is the price. The Nanrobot D4+ is priced at above most other scooter models but is still quite affordable considering all its features. The Nanrobot LS7, on the other hand, is almost twice as expensive at the time of writing the article (check out the latest prices below). This begs just one simple question: is the LS7, being twice the price of the D4+ with the seat, twice as good? Our honest answer is no. It’s a superb vehicle but we’re seeing a case of diminishing returns as far as money is concerned. If it were priced closer to two thousand dollars then we would have no issue. But paying double for a machine that is moderately better doesn’t sound like the best value in the world to us. Ultimately, the D4+ is the better choice as far as getting the most bang for your buck is concerned. It’s almost as good in every single way except for the max speed. The Nanrobot D4+ is not the fastest electric scooter but gives you the best bang for your buck while still reaching speeds over 40 mph! 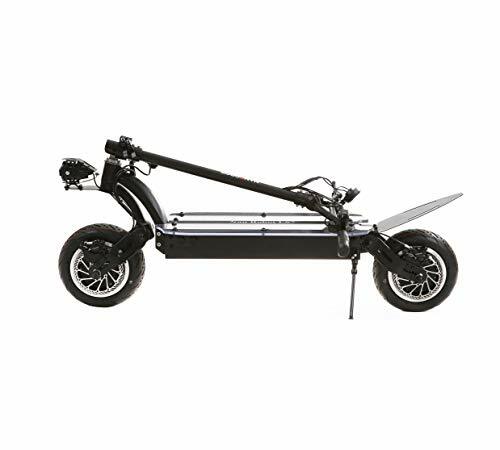 [POWERFUL MOTORS ]: Two independent powerful 1000W motors control the front and rear wheels.easily climb >30-degree hill. [SPEED AND RANGE]:23.4Ah 52V lithium battery，reach up speed of 40 mph and longest range of 45 miles. 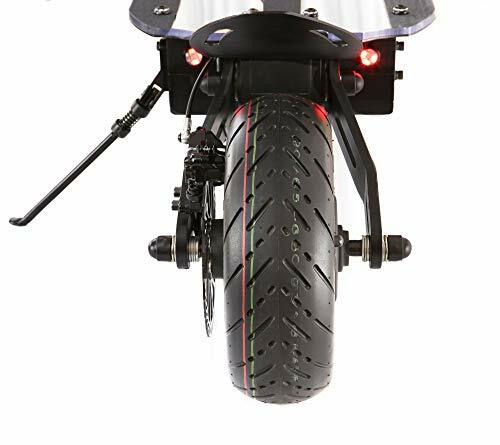 [DAMPING SYSTEM]:6 shock absorbers & 10" pneumatic tires provide a greater shock absorption and anti-slip function. [SAFE EMERGENCY BRAKING]:standard with the front and rear EBS disc brake system， it can brake stably during emergency braking to prevent impact. [PORTABLE DESIGN]: Before folding 47H*43L*8W (inch)， after folding 12H*43L*8W (inch). Detachable seats give you a different riding experience. Quick folding mechanism allows it to be folded and unfolded in seconds making it a perfect electric scooter. The Nanrobot LS7 is the fastest electric scooter I have ever had the joy to ride on. But boy, is it expensive! EFFICIENT DAMPING SYSTEM：Rubber shock absorption & 11" pneumatic tires provide great shock absorption and anti-slip function that make the NANROBOT scooter adapting to the roads of different terrains. RELIABLE BRAKING SYSTEM：Front & rear hydraulic disc brakes system and EBS breaks steady stop during emergency braking. 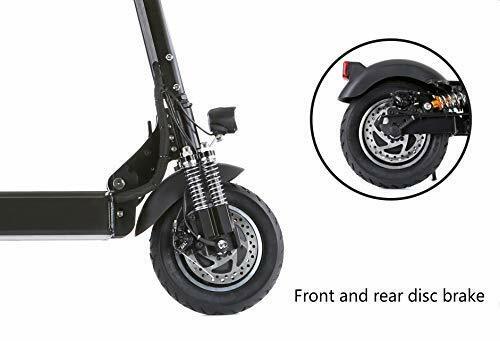 PORTABLE DESIGN : Quickly folding mechanism allows folding/unfolding in seconds making it a perfect electric scooter .We ship the item from China by air，Usually it takes about 10 working days for the item to reach you. 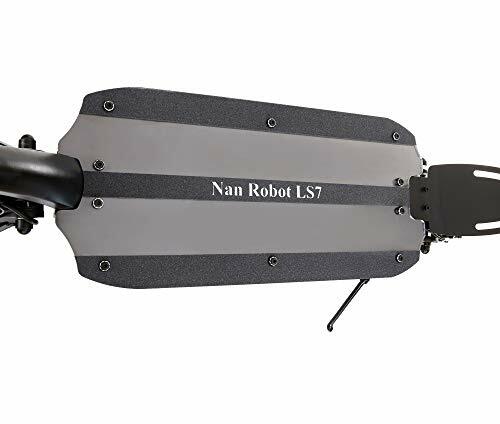 If you came here for speed and speed alone, the Nanrobot LS7 has got to be your choice. Combined with its large tires and wide footboard, you’ll be blazing around your town or city in comfort and in style. 52 miles per hour is an utterly thrilling speed to be going at on a motorized scooter. It offers such a unique thrill while also having the efficiency to get you to your destinations quickly. The LS7 is the better scooter than the D4+, hands down. The only issue for you is going to be deciding if it’s worth the money. For the price, the Nanrobot D4+ accomplishes a lot and it is a phenomenal value. It’s easily one of the best scooters and the option of having a seat is going to be the convincing factor for many people. Some people need speed, some people want comfort. Thanks for reading our comparative review of Nanrobot’s cutting edge fastest electric scooters.